I’ve been writing about tech for nearly a decade now, and in that time, one thing has always seemed perpetually promising, and yet also ultimately unsatisfying: remote streaming consumer computing. I’m not talking about remotely connecting to your work PC to grab a couple of files, but actually using programs interchangeably with your own local apps, despite some being hosted and run entirely on a server in some data farm nearby. Inevitably, however, this idea has been met with the harsh truths of reality, which has led to situations like the original OnLive flameout, for instance. Remotely streaming software has huge advantages – it means users don’t have to worry too much about their operating system, hardware specifications, or even necessarily device form factor when they’re choosing software, and that could be very good news for the future of low-cost, modestly specced devices like Google’s Chromebooks. In the past, any of these solutions that I’ve tried have come with serious downsides, including unreasonable requirements in terms of connection capabilities, up and downstream speeds, and more. They’ve also performed in a manner that while sometimes workable, would not fit anyone’s definition of a ‘pleasant experience.’ Local crashes are one thing, but when your app continually pixelates and refuses to acknowledge input it’s incredibly frustrating. Lately, legacy companies that have so far stayed mostly away from the fray have gotten into the streamed software game, and that’s a good sign that the market, and the tech behind it is maturing. 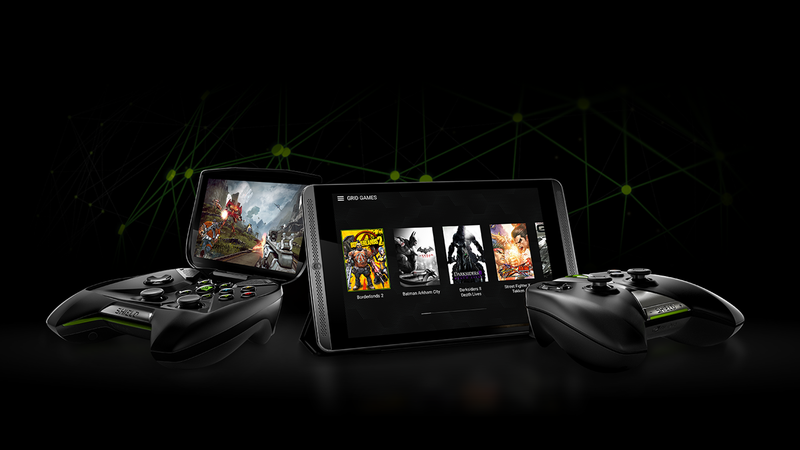 Two recent examples are Adobe, which started showing off its previously announced version of Photoshop that streams in its entirety to a browser, and Nvidia, which launched its GRID remote gaming service for its Shield devices this past week. In their rundown of an eyes-on preview of the software, Ars Technica found that Photoshop streamed worked pretty much like the native app, without the usual browser chrome you’d expect from web content, and without taxing your system resources. It’s still early in terms of a schedule for general public availability, but Adobe is making sure to get things right with at least six more months of limited testing before a broader roll out – and caution is the watchword when it comes to any kind of virtualized app deployment. Nvidia’s Grid underwent a similar lengthy testing program, and its debut is initially limited to North American users only before it makes its way to others. And the testing paid off; Grid’s reliability and performance are rock solid so far, besting competitors like the recently-launched PlayStation Now service and others, with performance that you’d expect from a high-end gaming PC, but running on your tablet with resolution that seems impossible given it’s a streamed signal. High-bandwidth connections are much more available than they ever were before, and devices can manage high-speed, dependable wireless transfer much more easily than before, both of which help explain why this is much more possible today than it was five years ago. The big immediate benefit here is to Google and the Chromebook, which could continue its trend of taking over the education market easily if it can move past the current restriction of local software. Ultimately, though, it’s a shift that would democratize digital production on a grand scale – Google, Facebook and others are already trying to connect the world with usable data connections, but also providing them access to powerful, modern day software on low-end or older used hardware would be offering up a full, refined toolkit, not just a lone large hammer.